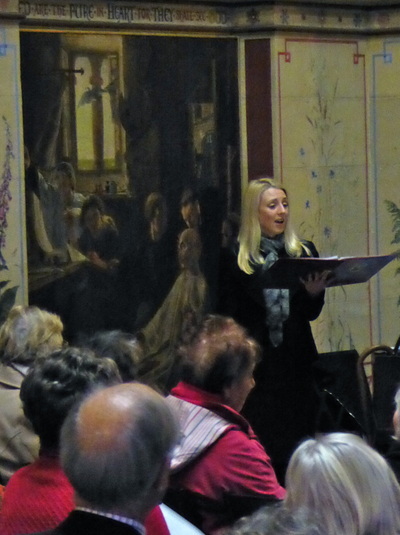 On a cold Northumbrian afternoon, Lloyd Langley and his team provided a very warm seasonal welcome to Wallington Hall for our annual Christmas celebration. Few could resist buying something from the vast selection of National Trust “goodies” available in the two brightly decorated shops, just inside the entrance arch. 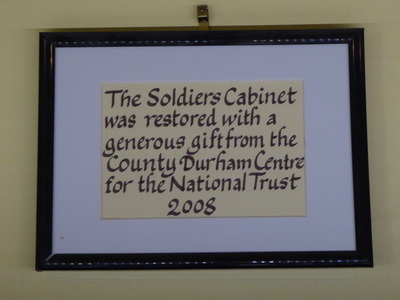 Freely circulating through the hall, we were able to examine the Caroline watercolours and the miniature soldiers’ collection; both of which have benefited from donations by the Durham Centre in the past. 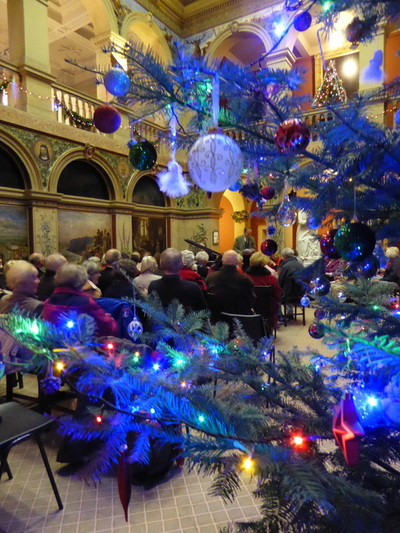 Afterwards, gathering in the Grand Hall, we enjoyed ginger cake, orange- flavoured shortbread, and filo pastry mince pies, all washed down with mulled wine and congenial conversation. No Christmas gathering would be complete without a hearty rendering of Carols. We were fortunate to be beautifully led by soprano Claire Jordan, who many will recall entertained us at the Ramside “Music for a Summer Evening”. Brian Pennick, with his nimble fingers, once again accompanied brilliantly on the piano. Our thanks must go to Douglas Shearer and Lloyd Langley and team, for organising the event which certainly introduced the true spirit and feeling of Christmas to all of us. As a parting remark, Lloyd Langley invited any energetic souls who would like to volunteer to plant 100,000 Snow Drops in the grounds in the near future.